Hawks Aloft educators have been delivering quality programs to students across New Mexico for over ten years. Through our youth programs, adult educational programs, and community outreach activities Hawks Aloft reaches over 41,000 people of all ages every year. Visit our For Educators section for free online lessons and more! Our interactive programs feature live, non-releasable raptors who bring to life a range of educational topics. 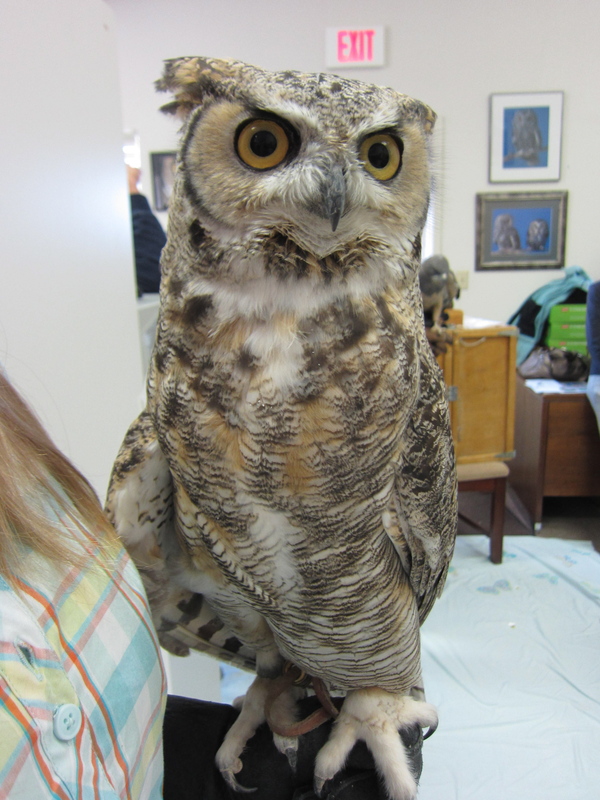 Programs provide close-up views of some of New Mexico’s most spectacular owls, hawks, and falcons. Education raptors have an uncanny ability to provide a memorable educational experience and to inspire people of all ages -from school-children to electrical company linemen – to make positive environmental choices. We see the sense of wonder as our avian ambassadors highlight the critical importance of environmental conservation. Read more about our educational ambassadors. 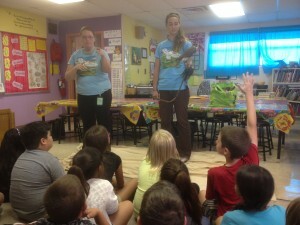 Hawks Aloft educators bring live birds into K-12 classrooms to teach about avian conservation. Hawks Aloft youth programs work to deliver engaging life science and conservation education to K-12 students throughout New Mexico and surrounding communities. During the school year, our schedule fills up rapidly, and we recommend scheduling as early as possible. Single visit programs should be scheduled at least three weeks in advance. Birds of Prey Program: a flexible 1-1.5 hour single-visit hands-on program tailored to the needs of each classroom. Reading with Raptors: single-visit program for preschool through first grade students features a live raptor, games and interactive book reading with hand puppets. Living with the Landscape Program: a grant-funded program for K-5 grade classrooms includes multiple classroom visits, a field trip, and a hands-on conservation project. Read more about our Youth Programs. 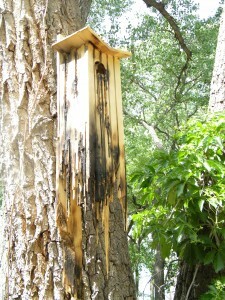 As part of an adult program at UNM in the spring of 2012, architecture students designed, built, and installed some very unique bird houses. By conducting education programs and public outreach, Hawks Aloft is working to improve quality of life in New Mexico by better informing the public and conserving New Mexico’s unique natural heritage. Read more about our Adult Programs. 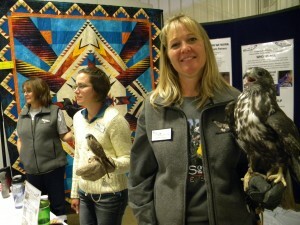 Hawks Aloft volunteers help out at Weems Artfest in 2012. 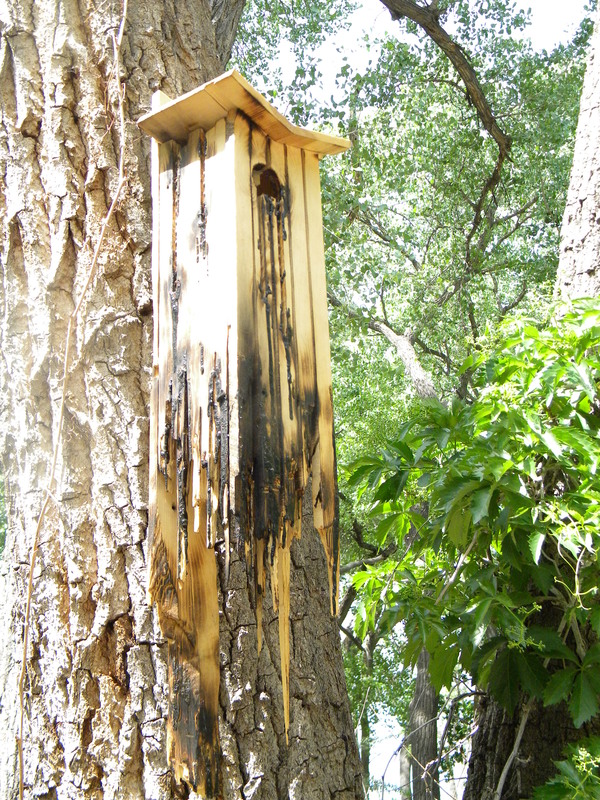 Community outreach activities improve the public’s appreciation for birds of prey, wildlife, and awareness of environmental issues within the community. Such programs encourage people to make positive environmental choices and conserve New Mexico’s unique natural heritage. 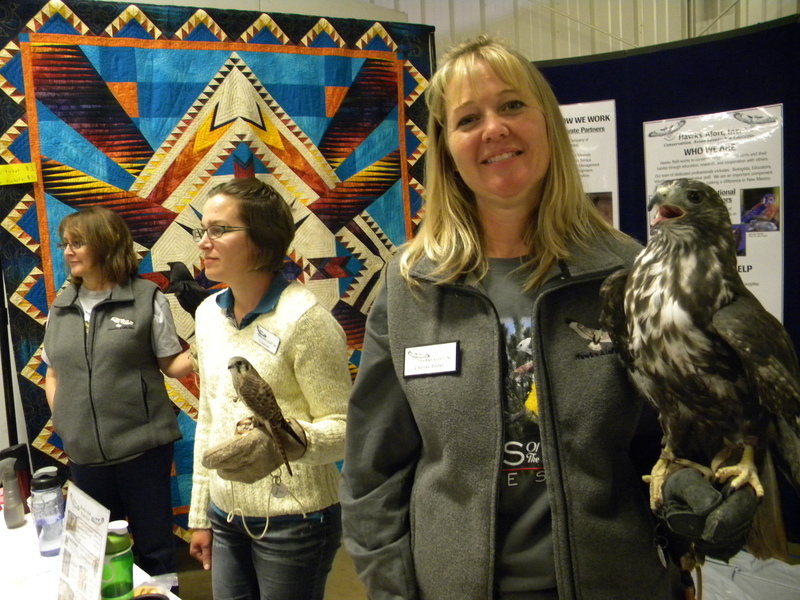 Participation in Community Events: Educational booths featuring live raptors and educational materials. Tailored to specific event requirements and featuring a minimum of two live raptors at each event. Outreach for Company Events: Educational programs for staff and their families, Outreach booths for corporate events. Group Presentations: Seminars and slide shows offer tailored education for special interest groups such as Boy Scouts, retirement communities, and conservation or civic organizations. Read more about Community Outreach programs. If you are interested in any of the programs described here contact us through the Community Outreach page; if you have questions about the presentations, please contact us education@hawksaloft.org or (505) 828-9455.